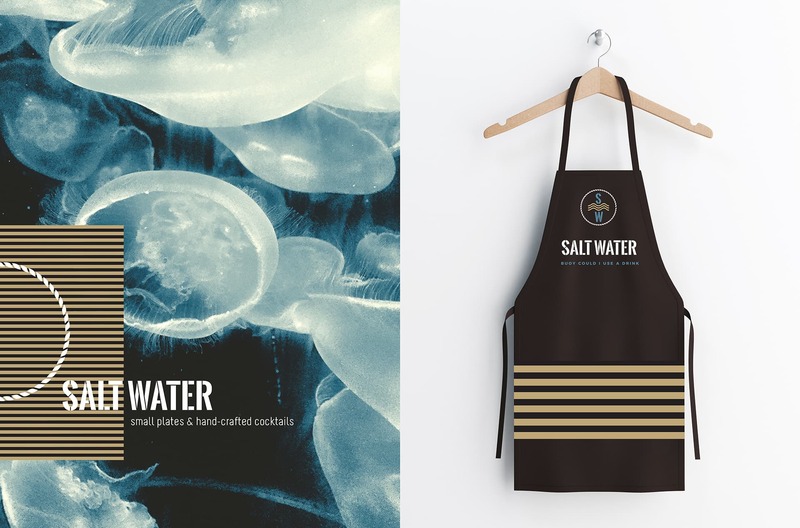 In a re-imagined storefront lives Salt Water, a hip, casual seafood eatery offering small plates and hand-crafted cocktails. 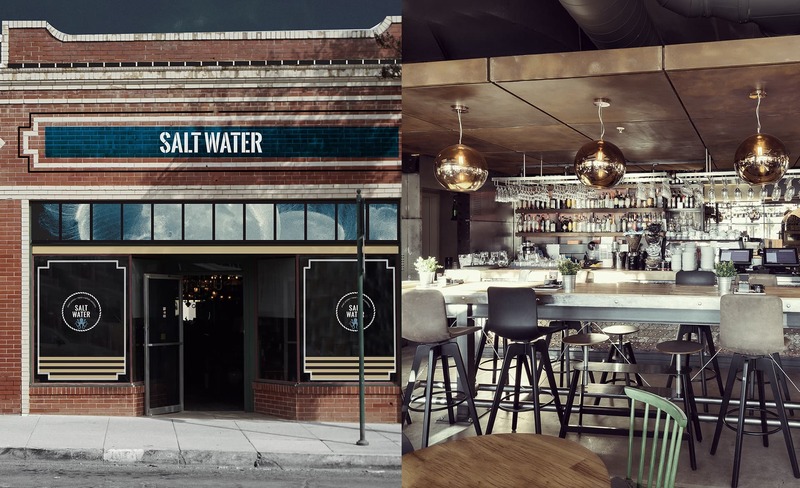 Curb appeal is enhanced by strong graphics, while the interior space is open and inviting with mismatched chairs and a dropped copper patinated ceiling cantilevered over the bar. The interior color palette centers on distressed wood and steel. Pearl’s Back Porch, the outdoor space behind the main dining room hosts live local music on the weekends.